The installation is in line with Rendeavour's long-term commitment to environmental conservation through harnessing renewable energy sources. 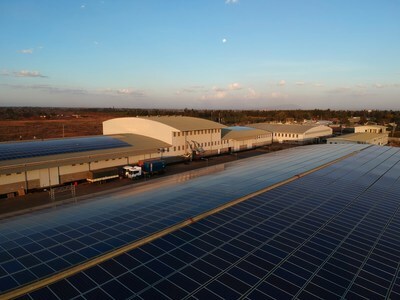 The solar power plant - installed on the roof of Dormans Coffee's global headquarters at Tatu Industrial Park - provides 1 MW of electricity. Installation of the entire plant, including 15 kilometers of cables, took only six days.